Online Orders from BeeKind Eco Friendly Wooden Briquettes. High density sawdust and wood chip briquettes the best and economical alternative to fire wood logs or coal. Ideal for stoves and open fires. please note - surcharges apply to courier deliveries in the Highlands & Islands of Scotland, Isle of Mann, Isles of Scilly, Northern Ireland and Southern Ireland, and the Channels islands. ORDERS DELIVERED TO THE UK MAINLAND ONLY. 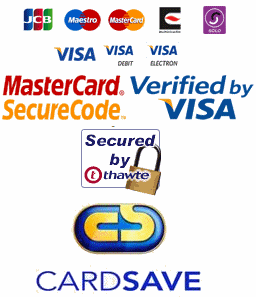 Payments made online are processed using 128 bit encryption and secure server SSL.